When you thought about starting a family you had no idea how hard it would be to keep your home running smoothly once little feet were running through the rooms and dirty little fingers were touching the walls. You did not envision yourself constantly picking things up off the floor or looking around your ripped-apart house in complete overwhelm. Before having children parents do not usually set up their space for what is needed to keep a tidy and organized home. Suddenly they find themselves in the thick of it and the thought of taking time to properly set up their house seems daunting. Well help is at hand. We asked a long-time Penticton real estate agent for his thoughts on organizing young family homes. When a family goes from two to three or four there is a lot more cleaning to be done every day and every week. Having a handled box where you can put your kid-friendly and environmentally friendly cleaning products, plastic gloves, paper towel and cloths on hand makes it so much easier as you move from room to room. Be sure to store it in a child proof cupboard. Even if we think we can work around it you will want a place to put the things you have in your hands as you come in your front door. Having one flat surface in the entrance way ensures you will not haphazardly drop them in some random spot. Hang a key rung with at least three hooks above a table and make a space for your wallet and the newly arrived mail. Make sure the mail does not stay there. Have a system in place. Beyond the flat surface for your keys and such, the rest of your entryway needs to be well-designed as well. I would suggest a cupboard that has a separate place for each member of the family to put their coats and shoes and a bench on which one can sit to take of said shoes. It is here extra foot wear can be kept or perhaps you could also keep winter and summer gear like beach hats, toques and gloves. You will definitely want to focus your energy on making sure your children’s room are well-organized. One way to obtain this is to make sure you go through their clothes regularly as fast growing kids will leave many sets of wardrobes in their wake. Have a couple of see-through clearly labelled Tupperware boxes in your garage or storage area and shift clothes into them as each season ends or if a growth spurt has made many of their clothes no longer wearable. Still in the children’s rooms labelled bins will ensure your kids know where to put their toys after a long day or weekend of playing. If there is a spot for everything you are less likely to find yourself alone after bedtime trying to quietly tidy their toys. Even if your kids are sharing a room make sure they have their very own book shelf where they can put favourite books, Lego and other personal treasures. Though it may sound like slight overkill with a family laundry is often one of the biggest culprits when it comes to piles on the floor, couches or beds. 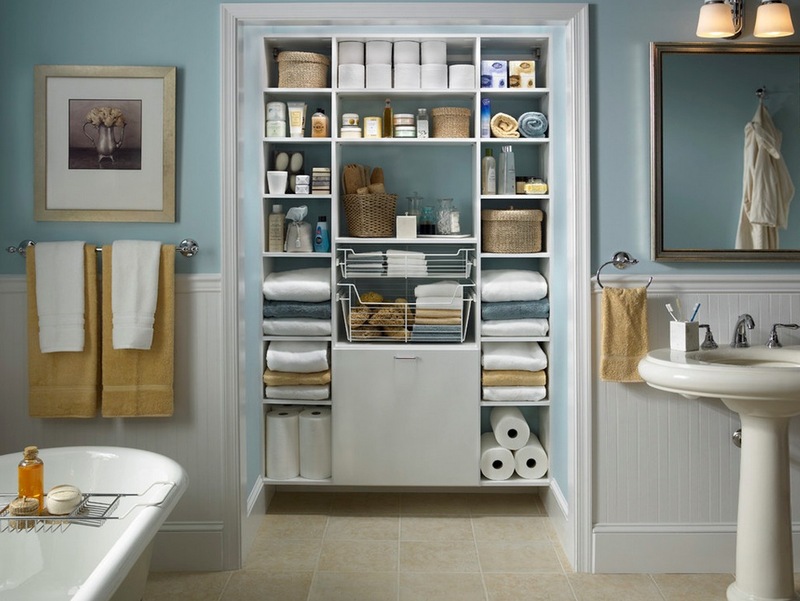 A laundry hamper in each bedroom means there is a place to put it without much thought. Kids are less apt to throw it on the ground if there is an awaiting bin. I would also suggest two or three hampers in the laundry room so individual bins can be emptied every day or so. Sort as you go into colours, lights and linens. As any parent will tell you having children means a lot of scheduled activities. No one wants to be the parent who forgets dance or soccer because they did not remember it was on Tuesday and it is now Wednesday. Having a calendar you can write on in a well-used area of the house means you can keep on top of things. Of course you can keep a backup calendar on your phone but having a visual reminder is important. You might also consider a chalkboard for the grocery list.